As the nation’s oldest continuously operating ironworks company, G. Krug & Son literally has helped build Baltimore. For over 200 years, the firm has fabricated distinctive components of such notable landmarks as the Baltimore Basilica, the Washington Monument and the Baltimore Zoo. They also recently opened a museum of historic ironworking, making them the nation’s oldest ironworks company and newest ironworks museum! G. Krug & Son Ironworks began in 1810 by Augustas Schwatka, and by 1871, Gustav Krug became the sole proprietor of the “bell hanger and locksmith” company. G. Krug today is owned by Peter Krug, a fifth generation Krug ironworker, and continues to fabricates artistic ironwork in the same building where it was founded. Mr. Krug will lead our tour of ironworking shop and new museum. 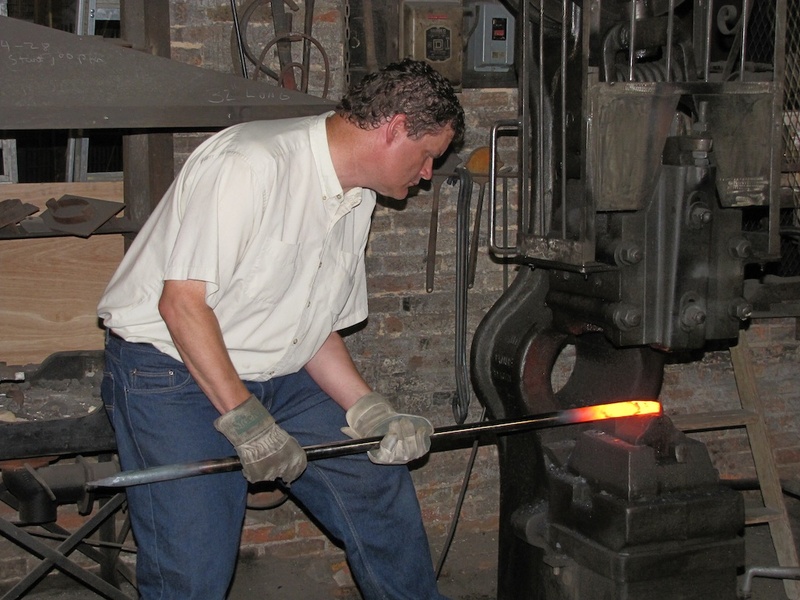 We’ll be treated to archival blueprints, century-old rare pieces of ironwork that are no longer made anywhere, and their two hundred year old ironworks building where they produce wonderful pieces as they have for over two centuries.